If you’re just arriving at the party at Ben Cutler’s apartment, get ready for some serious hand-holding from his girlfriend, Natalie Fertala. 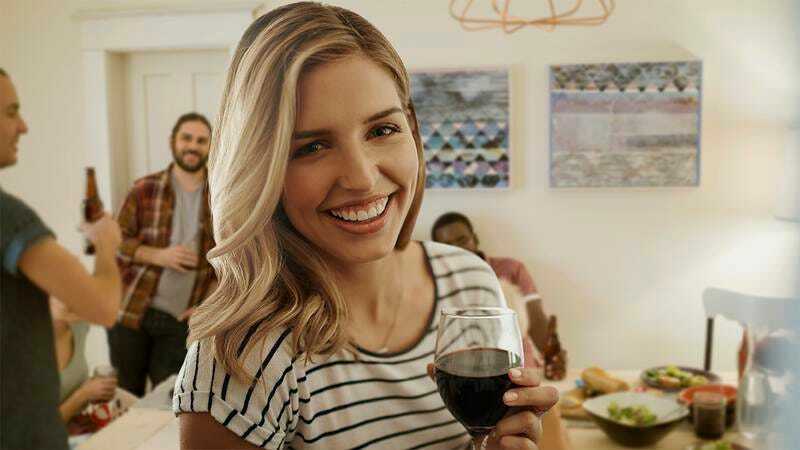 Ben’s girlfriend has proudly appointed herself the steward of his entire apartment for the duration of the event and is really hitting everyone over the head with how well she knows the place. Cool, we get it. You spend a lot of time here. Roger that. Ever since Ben’s party began, Natalie has been flaunting her extensive familiarity with his apartment by taking it upon herself to shepherd every guest through his apartment with the painstaking care of a Sherpa guiding climbers up Everest. As soon as people started arriving, she immediately assumed the responsibility of collecting everyone’s coats and informing them that “the living room is to your left,” just in case the guests needed expert guidance from an experienced veteran of Ben’s apartment to make it down the hallway without getting lost forever. At this point in the party, Natalie has assigned herself the task of working the buzzer to let new guests into the apartment, insisting that she knows how long it takes for the door to unlock and communicating loud and clear that she spends a couple of nights a week there and really knows the ins and outs of the place. She’s also made at least three separate announcements about where Ben keeps all the cups so that there’s no doubt in anyone’s mind that she visits her boyfriend’s apartment on a regular basis and knows the whole layout inside and out. Seriously, Natalie, thanks for all the help, but there’s no need to tell everyone that the ice is in the freezer. We could probably have deduced that one on our own without you pointing it out for us like we were confused children. You’ve successfully convinced everyone here that you hang out in your boyfriend’s apartment a lot and have ascended to your rightful place as its overseer for the entire evening. Congratulations. We will conduct ourselves accordingly for the remainder of the party.